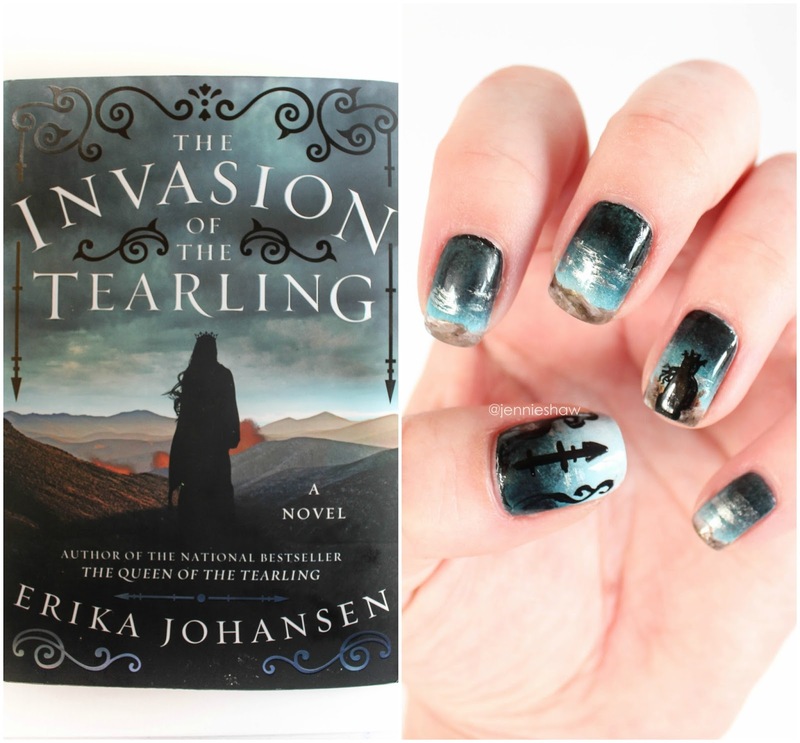 jennie's nails and tales: top ten reads of 2015! It's that count-down time of year again! Woot woot! I was worried that I wouldn't have time to put this post together before the new year, but here I am! I did it! Yes, I feel like a blogging boss. Ha! In total, I managed to read 81 books this year, and I made a conscious decision to mix it up, genre-wise, which was probably one of the better decisions I've made. I swear that my writing has matured so much, by branching out by reading such a variety of authors. 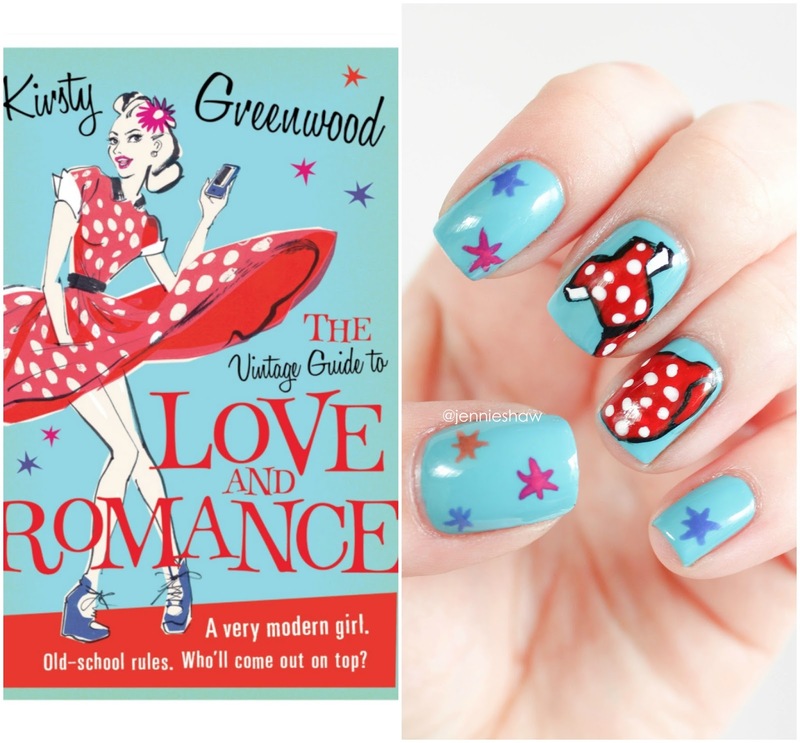 2015 was also the year I shifted the focus of my blog and started painting tribute manis inspired by some of my favourite books. It's been super fun to do, so I'm going to keep that going for 2016. Because yay for amazing books and matching nails! Although the majority of the books I read were awesome (only two were under three stars), there were some that absolutely stood out. As you can probably guess, those ones are going to be in this post. I've put together mini reviews for each, with links to the original, more in-depth reviews, (because otherwise, this post would've been hella long). You're welcome. Haha! So without further ado, bring on the books!! 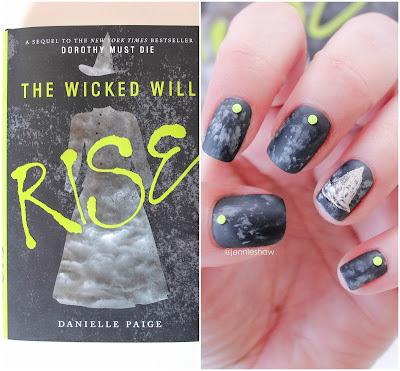 I love the world that Danielle Page has created for her reinterpretation of The Wizard of Oz, and the second instalment in the Dorothy Must Die series didn't disappoint. It's dark and twisted and there's so much magic! Controversy aside, this is a fresh take on an already-cool concept. The MC, Amy, is a fabulous YA heroine and because the story is so unique, I have no idea what's going to happen next. I'm definitely excited to see how this series progresses! 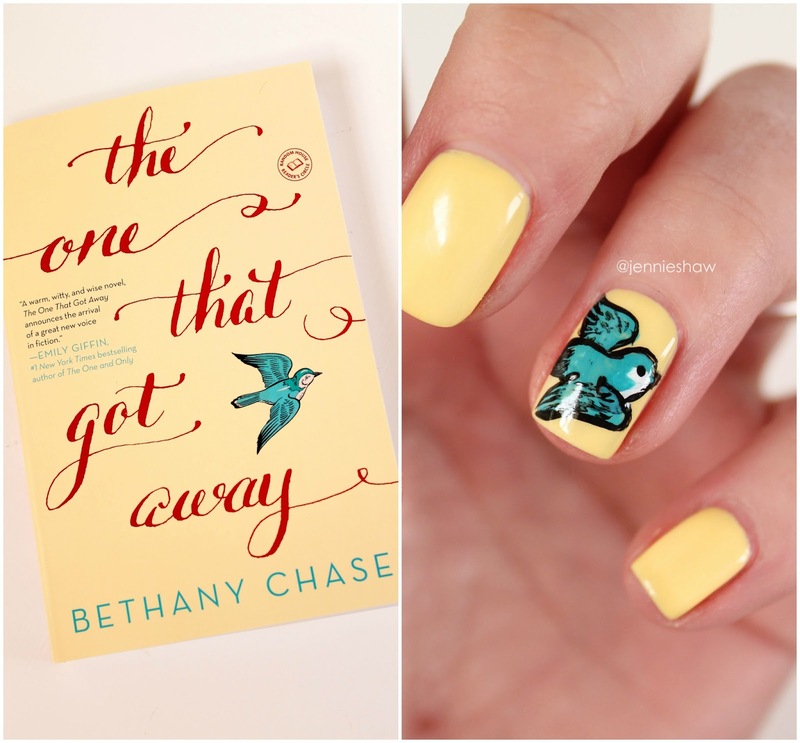 Bethany Chase's lovely debut is one that I've recommended to anyone who loves women's fiction. There are highs, lows, and a ton of comedy that's just perfect for the 30-somethings (meaning, me. Haha!). I loved Sarina, the main character. She definitely reminded me of a few people in my real life, which made it all the more interesting to read. In a good way. Haha! There's definitely more to this book than a few laughs, though, because this book tackles some tough topics. A seriously great read that takes you through the whole spectrum of emotions. 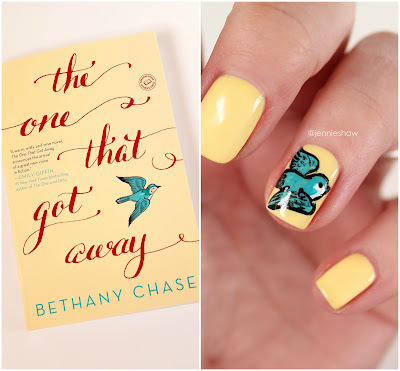 Bethany's second release is slated for 2016 and I'm very much looking forward to checking it out. This year marked the end of a couple of series I've been digging. 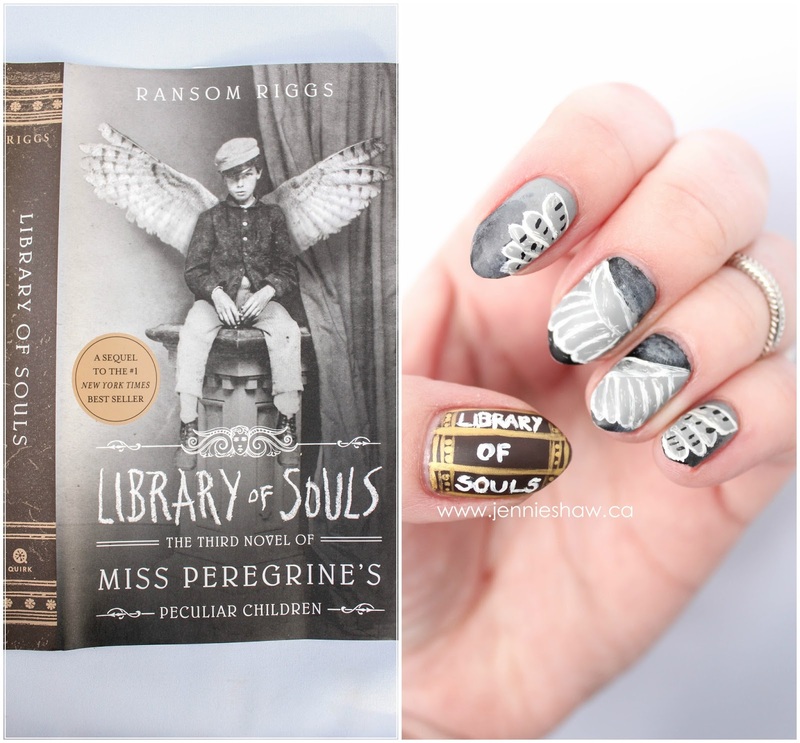 LIBRARY OF SOULS is the final book for Miss Peregrine's Peculiar Children and I have to say, I'm sorry that it's over. This series was fun, dark, and downright enthralling. Maybe it's because I have a soft spot for outcasts, or maybe it's because I love an ensemble cast that captures my heart. Either way, The Miss Peregrine's series has been wildly entertaining. Plus, there are so many cool, creep-tastic pictures included! If you're into unusual characters put into extraordinary circumstances, this is the series for you! 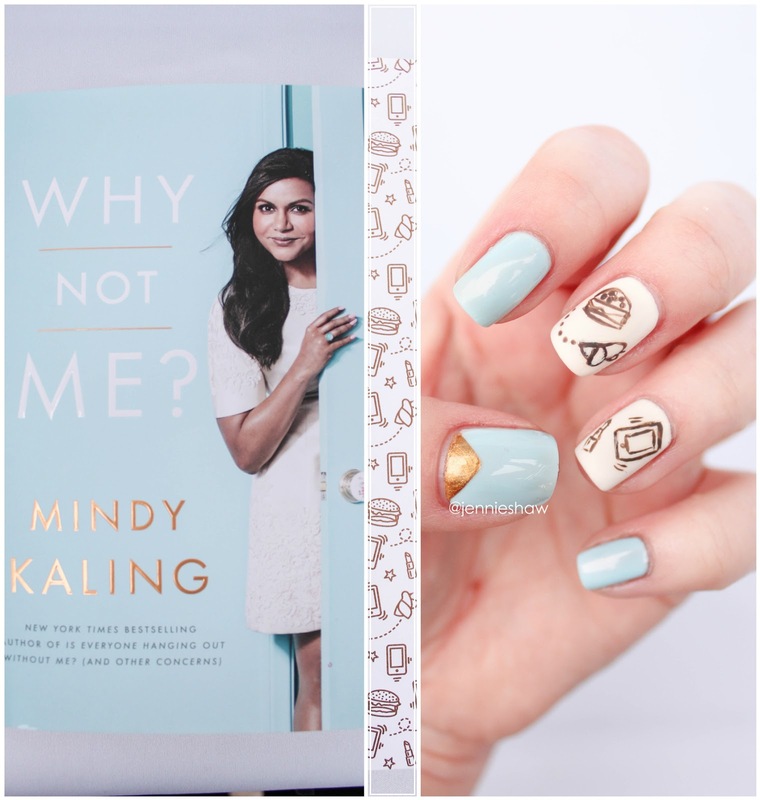 Mindy Kaling's second collection of essays were even more awesome than her first. Yeah, I know, it's hard to believe. But it's true. This collection has more heart than the first, but just as much humour. Man, can Mindy write comedy. I laughed out loud more times than I even know, while reading WHY NOT ME? Also, I kind of got choked up by the end. So really, it's the best of both worlds. There's a reason why this book has been cruising the NYT Bestseller List for awhile. After reading the first chapter, I'm sure you'll see why. 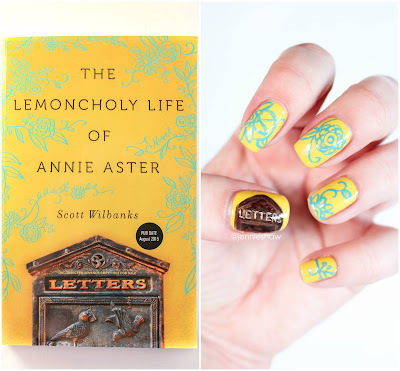 It's hard to describe THE LEMONCHOLY LIFE OF ANNIE ASTER, mostly because there's just so much tucked inside this wonderful yellow book. It almost reads like poetry, with its own rythym and beat, but if you can get into it, you won't want to leave. But don't get it twisted, there's a lot of in-your-face, murder-mystery action, nestled within the beauty, and the antagonist is a seriously bad dude who's scary as hell. Yes, this book's got it all, folks, so don't wait--buy it now! Honestly, I'm still kind of recovering from this one. 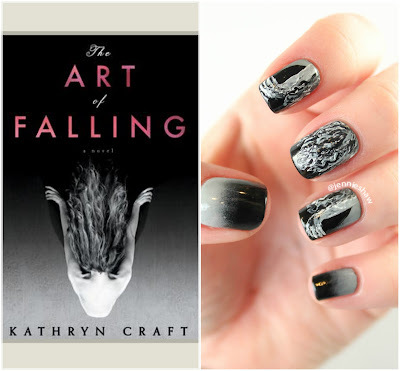 It was a deep and enthralling tale of a woman's fresh start after a terrible accident. The prose was bananas, along with the details regarding the competitive world of professional dance. Even the supporting cast of characters were remarkable. Definitely a book you want to read in private, so nothing distracts you from the page. And because Kathryn really goes there, I'd also recommend having tissues nearby. Like, the better part of a box. 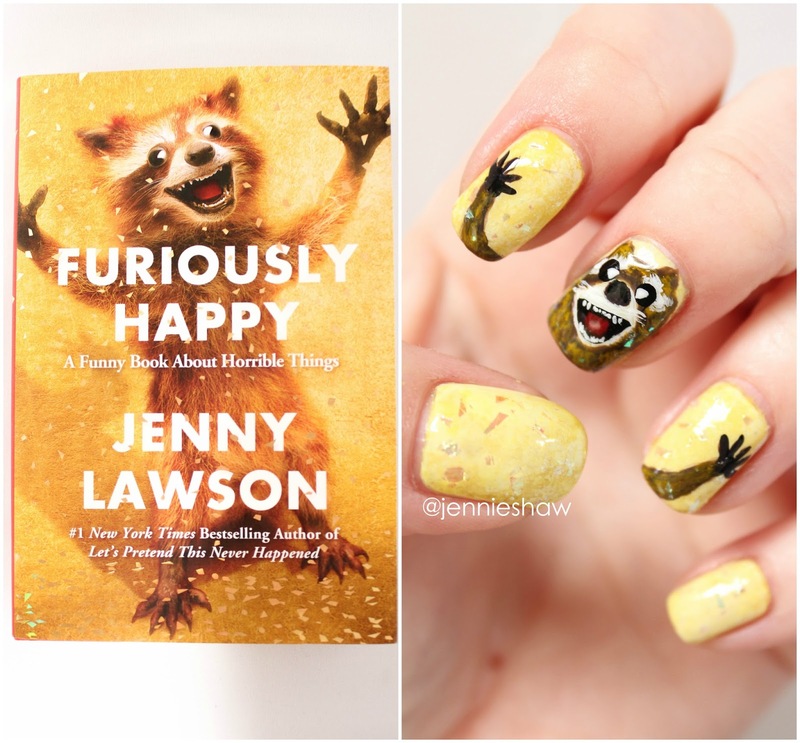 Click here for the story about when I went to Jenny's most recent book tour! This is Jenny Lawson's second book. Do you need another reason to pick it up? Probably not. Haha! But if you're unfamiliar with Jenny Lawson, let me tell you: her brain operates on an entirely different level than most people's. Probably because she's highly medicated. But that's why she's so great. She's shaped a pretty crappy situation into a pretzel of awesome. She's given a voice to those who live in the dark--to people who truly believe they are alone in their struggles. Having attended one of her book signings (which you can read about by clicking the link below this picture), I can attest to the way she's united her readers. Plus, did I mention she's funny? Because she is insanely funny. If you need a laugh, this is your book. Oh, WINTER. Where should I begin with you? Well, aside from having my favourite cover of the year (omg that apple, right?! ), this book was also one of the more satisfying finales I've ever read. 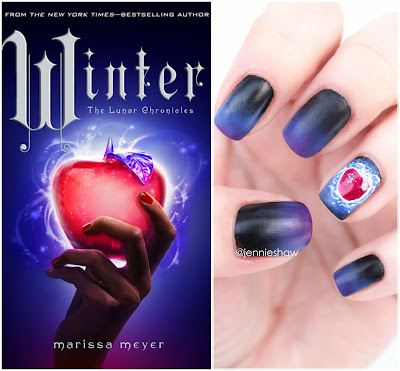 There was so much going on in The Lunar Chronicles yet somehow, Marissa Meyer was able to wrap up just about every storyline up without seeming wrap-uppy (this is a technical book blogging term (not really)). I loved each and every character, even when they were behaving badly. I mean, the concept of basing characters on fairy tales and putting them in a futuristic, space-travelling environment was pure brilliance. I've seen that Marissa's next release will be a prequel of Alice in Wonderland and I'm so freaking excited I can hardly function. Can you say, preorder? Haha! Anyway, WINTER is absolutely my YA pick of the year. If you haven't read The Lunar Chronicles yet, what the heck are you waiting for? I love this series so much that I can't even. The first book, QUEEN OF THE TEARLING, was my #3 pick for 2014, but this year, the sequel claimed the 2015 top spot. It's just incredible: the MC Kelsey, the awfulness of her kingdom's situation, magic, lust, and to add even more to the already bursting plot, there was a surprise twist that had my jaw dragging on the floor...all the way back to my computer where I preordered the third. Because OMG AMAZING. I've been reading a lot of YA these past few years, and I think it's because the plot takes off and doesn't let up. The Tearling series is just like that, only for adults. It doesn't really matter if you're into historical fiction, or fantasy, or whatever genre you see it shelved in. This story transcends genre--an epic tale for all, if you will. The final book comes out in June, so you've got plenty of time to read the first and second, before ravenously devouring the third. So there you have it: my top ten reads of 2015! What were some of your favourites? Did they make my list? Have an amazing NYE, everyone! Okay, you've just reminded me that I've got to get Ransom Riggs series. How is it that I keep forgetting to do that? What do you think, can I get away with downloading it, or should I order a tradeback? While I'm at it, I might have to get another half dozen from your list (if for no other reason that the epic hair-flip gif).